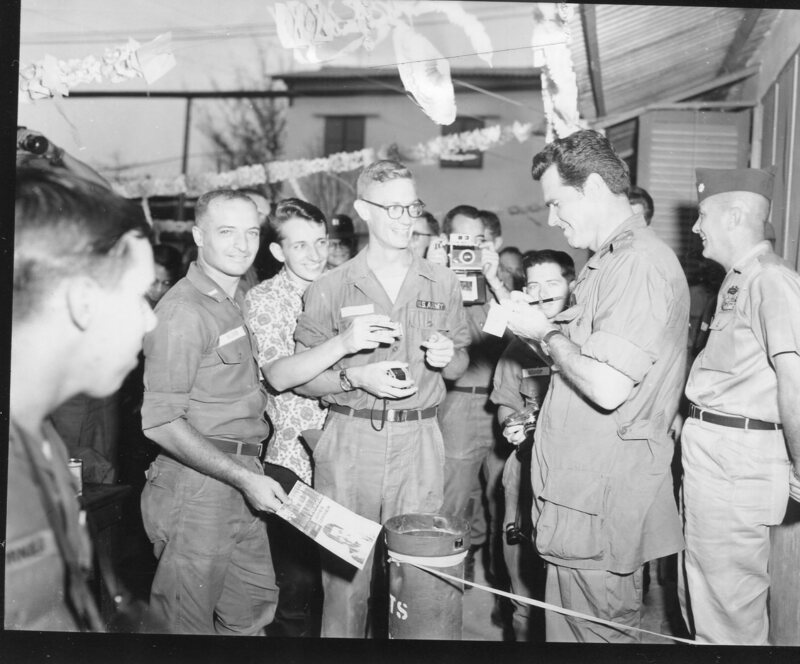 First organized as the Strategic Communications Command Signal Brigade, Southeast Asia, in Saigon, Republic of Vietnam, on 1 April 1966, the Brigade, was redesignated the 1st Signal Brigade, and reassigned to Long Binh on 16 October 1967. The newly formed brigade, comprised of various communication units and assets belonging to the United States Army Strategic Communications Command (USASTRATCOM), was initially under the command of the newly promoted Brigadier General Robert D. Terry. With approximately 12,000 personnel in early 1966, the 1st Signal Brigade would grow to a strength of almost 23,000 at the height of the Vietnam War. This level of strength, roughly the size of a division, would make the unit one of, if not the largest, brigade-sized units to ever serve in country. 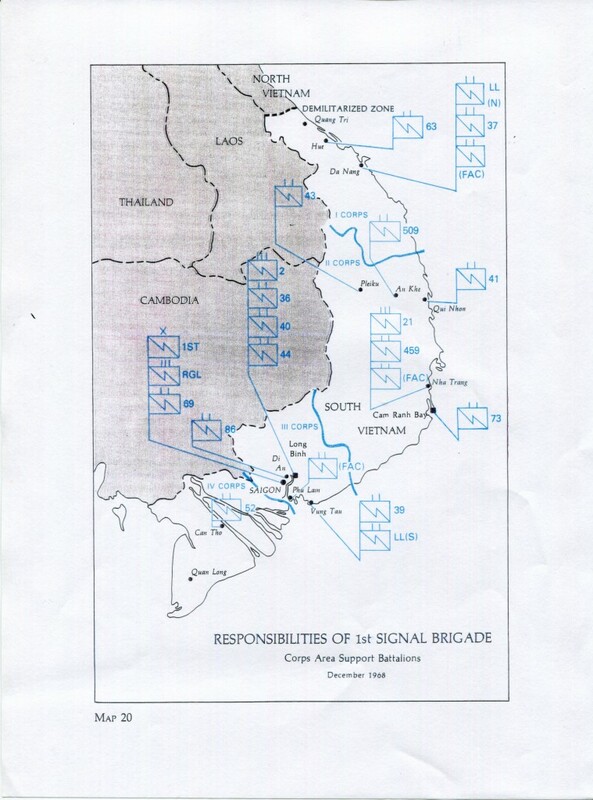 The brigade’s Vietnam and Thailand table of organization would be made up of six signal groups and twenty-four Signal Battalions manning over three hundred signal sites. The functions of the brigade’s battalions differed and thus led to their specific designations as either army, corps, divisional, combat area, support, modified support, construction, command radio and cable, or provisional. In addition to the many battalions that made up the brigade, many individual and independent signal companies and detachments were part of the 1st Signal Brigade. These smaller specialized units were often assigned to the various battalions to augment those unit’s capabilities and mission requirements. It was not uncommon to have these smaller units transferred from one battalion to the operational control of another as the need arose. With the demands for more and more communications resources and capabilities, the Army required assistance from civilian contractors to fill those needs. The Army selected Page Communications Engineers and Philco-Ford to design and install an Integrated Wideband Communications System (IWCS) in both Vietnam and Thailand. To accomplish this, hundreds of contractor personnel, working under the 1st Signal Brigade, were brought into the theater of operations. Page Communications was given the contract for work in Vietnam, while Philco- Ford was awarded the contract for work in Thailand. In Vietnam, the Page Communications contractors,like their Army counterparts, were often subject to hostile fire. In one case, enemy forces ambushed a convoy of Page employees and military personnel while on their way from Dalat to the Pr’ Line Mountain signal site. Occurring on Thanksgiving Day 1966, the attack resulted in the deaths of eight contractors, one American soldier, and eight South Vietnamese troops. Two other Page employees were wounded and four others escaped injury. 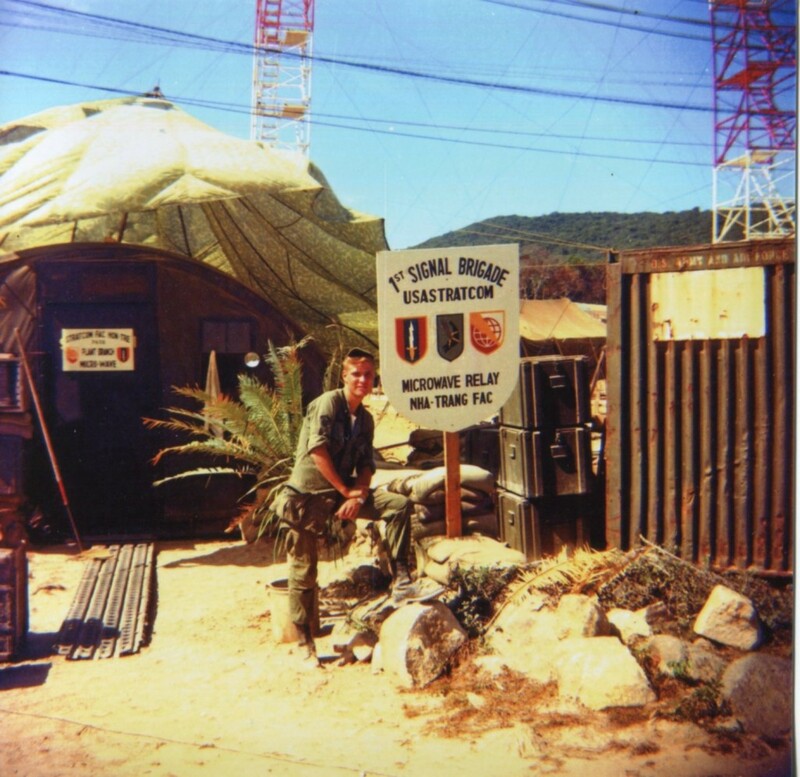 The 1st Signal Brigade responsible for providing communications to an area that encompassed over 60,000 square miles of Vietnam’s coastal, jungle, and mountain terrain. This required a wide variety of signal assets, including courier service, land line telephone, teletype, radio relay, microwave, photographic, cryptographic, and satellite communications. The Vietnam War also saw the use of satellite communications for the first time ever in a combat zone. With such a large area to cover, the need for brigade aircraft support became a major issue in late 1966 and early 1967. Operating under a modified Table of Organization and Equipment, the brigade acquired fifteen aircraft by the end of January 1967. The 1st later received six U-1A Otter airplanes to supplement its original complement of aircraft. The brigade’s UH-1B helicopters were also swapped out for UH-1Ds in order to give the unit greater lift capacity. This addition of air support was especially beneficial to remote signal sites where resupply and access was limited by other means. Later in the war, the brigade would be authorized forty-five aircraft, to include nine twin-engine, fixed-wing aircraft, twelve light observation helicopters, and twenty-four utility helicopters. Another of the 1st Signal Brigade’s responsibilities was the establishment of an unofficial signal training facility. 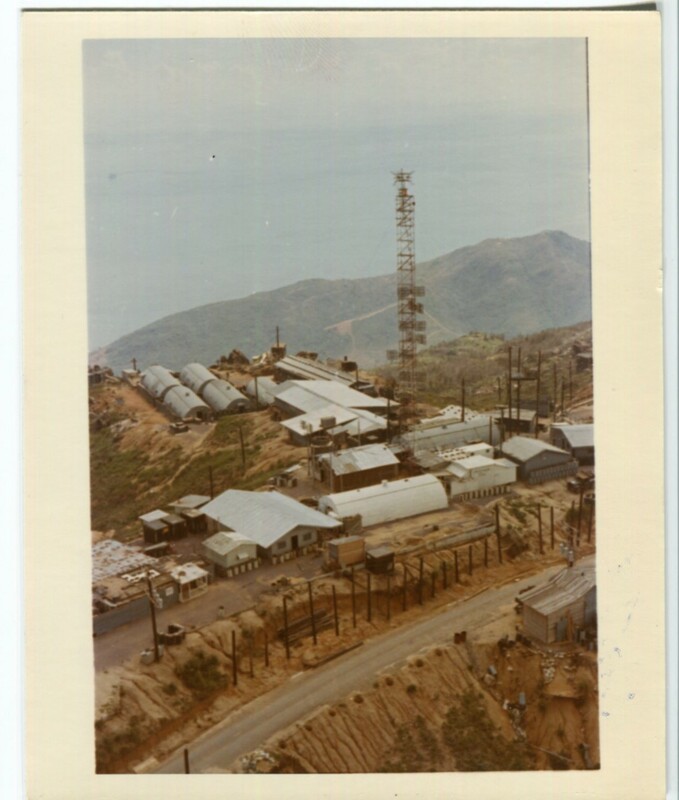 Established in May 1966, the objective of this facility was to train and update signal personnel within South Vietnam. It was later expanded to train South Vietnamese and other allied forces in the latest advances in communications technology. This school would become an authorized function of the brigade in September 1968 while it was under the command of Brigadier General William Van Harlingen. It would be officially designated as the Southeast Asia Signal School. Although many of the Brigade’s assets were located at fixed signal sites throughout the country, many units had the capabilities to make them mobile. This was especially true for the divisional, combat area, and signal support battalions. Many of these units had their communications vans and equipment mounted on the back of two-and-a-half-ton trucks, allowing soldiers to quickly transfer from site to site. When Communist forces launched the Tet Offensive in early 1968, signal sites throughout South Vietnam became prime targets for both North Vietnamese and Viet Cong attacks. Many signalmen were required to fall back to their basic combat training skills and take up roles as infantrymen in order to defend their sites. American units in I Corps were hit particularly hard, and the division of responsibilities for communications helped to make a chaotic situation worse. Brigadier General Terry had stated in early 1966 that he foresaw a potential problem in the I Corps region with communications responsibilities being divided between the Marines, Air Force and Army. His foresight would prove correct in some aspects, during the Tet. To fill the communication demands in the hard hit I Corps area, a provisional signal battalion was quickly formed from various signal battalions, including the 459th at Nha Trang. These personnel were transported via aircraft and truck convoy to Phu Bai. Once established, the new composite unit provided immediate support to the Army and Marine Corps units battling to reclaim lost ground. In the effort to reclaim the city of Hue alone, the 1st Signal Brigade lost twenty-two men killed in action, 160 wounded, and one missing. The role of the 1st Signal Brigade in Vietnam was long, complicated, and challenging. In all aspects, the brigade met those challenges. As a testimony to the 1st’s service, General William C. Westmoreland, commander of U.S. Military Assistance Command, Vietnam (MACV) from 1964 to 1968, stated, “No combat operation in Vietnam has ever been hampered by the lack of communications-electronics support.” General Creighton W. Abrams, Westmoreland’s successor at MACV, paid tribute to the brigade by saying, “From a satellite 18,200 miles above the Pacific Ocean to a courier on a dusty Vietnamese road, the 1st Signal Brigade passes the word into, out of, and within Southeast Asia”. With the gradual winding down of American military involvement in Vietnam, the strength of the 1st Signal Brigade was reduced from a high of 23,000 personnel in 1968 to less than 1,300 by November 1972. With this reduction in force, there was the need to close down facilities and signal sites and reclaim and salvage valuable signal equipment. 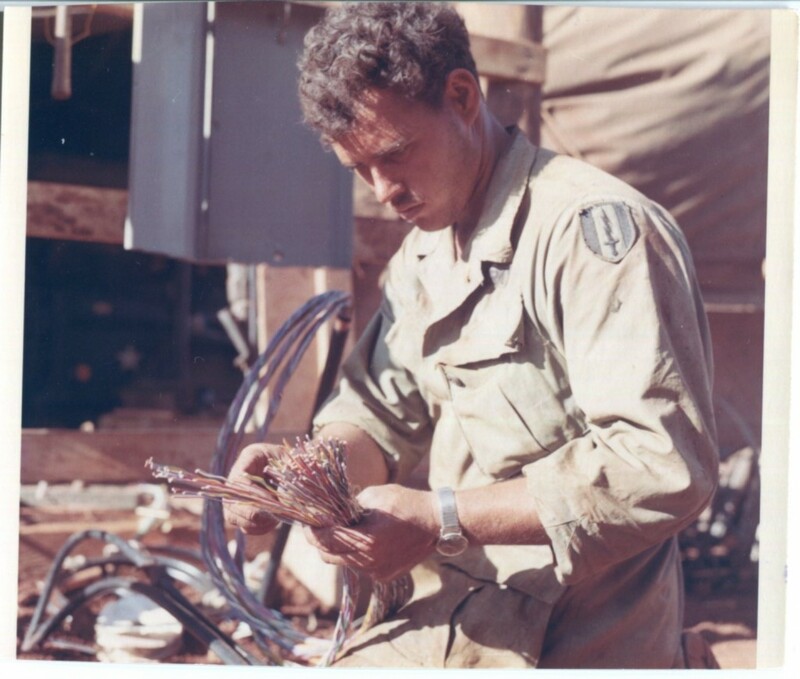 Major General Thomas M. Rienzi, one of the brigade’s commanders in Vietnam, once said that “There is an old Army maxim: The communicators are the first ones in and the last ones out.” Between 1970 and 1972, brigade personnel reclaimed over $50 million worth of equipment and re-dispersed around the world. For its service in Vietnam, the Brigade would be awarded three Meritorious Unit Commendations and fifteen campaign streamers. After its service in Southeast Asia concluded, the 1st Signal Brigade’s colors were transferred to South Korea, effective 7 November 1972. The brigade was reestablished by order of USASTRATCOM on 29 January 1973 and placed under the command of Colonel Walton K. Richardson. 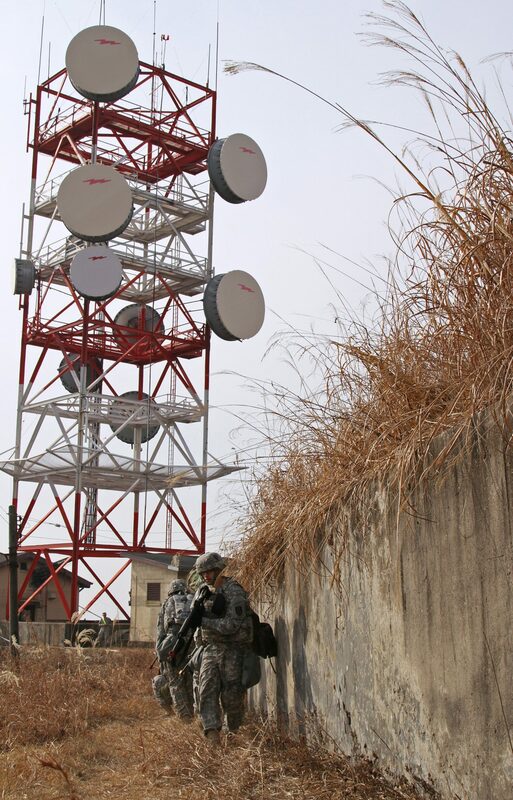 In Korea, 1st Signal was given the task of providing communications capabilities to the United Nations Command, United States Forces Korea, and Eighth Army. The 1st Signal Brigade area of operations covers close to 39,000 square miles of land mass, much of rugged and subjected to harsh weather. In August 1998, after a period of heavy rain, a mudslide engulfed a signal site south of Seoul operated by the 304th Signal Battalion, killing two soldiers and injuring twelve others. Yet, despite the difficult weather and terrain, the 2,000 signal soldiers and civilian employees of the 36th, 41st, and 304th Signal Battalions, as well as the personnel of the 6th Signal Center, all subordinate units of the 1st Signal Brigade, accomplish their mission each and every day. This has not been easy. During recent combat operations in Iraq and Afghanistan, Army signal units supporting Operations ENDURING FREEDOM and IRAQI FREEDOM were given priority with regards to personnel allocations. This caused some difficulty for the 1st Signal Brigade. The problem was solved by a vigorous in country retention program that allowed soldiers to voluntarily extend their tours of duty. Today, the brigade is currently under the command of its thirtieth commanding officer, Colonel Arvesta P. Roberson. As the fiftieth anniversary of the activation of the 1st Signal Brigade approaches, reference is made to a speech that was given in September 2004 by the late Major General Robert D. Terry, the brigade’s first commander. Regarding the famed brigade patch, known as the Jagged Sword, Terry stated, “An Army Department team came to U.S. Army, Vietnam (USARV), to resolve a large number of unit designation issues, and as they closed out their meetings, the team chief came to see me and we talked the situation over. Between us, we worked out the design that the brigade wears today. He agreed to approve it for the Department of the Army and I approved it for USARV and STRATCOM. Neither of the commanders [of those two commands] ever discussed the situation with me after that, and the issue was resolved. You know you always run the chance of getting fired with those type decisions.” The 1st Signal Brigade still proudly wears that same shoulder patch today, and lives up to its mission goal to “Keep the Shooters Talking.” The 1st Signal Brigade Association, comprised of former brigade members from Vietnam, Thailand, and Korea, was formed in 2000, and currently numbers over 3,000 former members.